﻿As promised, I've been testing Sugar and Crumbs flavoured cocoa powder and icing sugar. 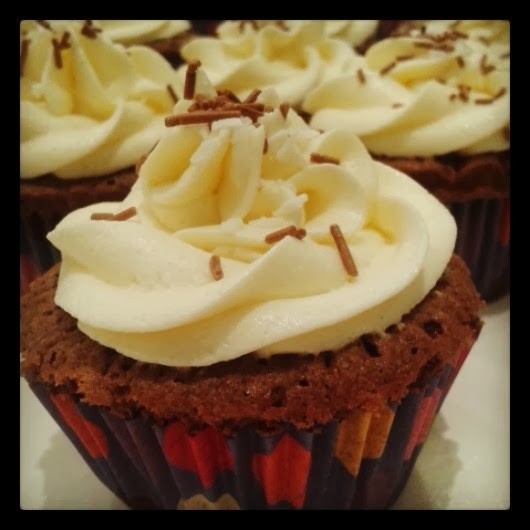 In my last post the salted caramel- and coffee-flavoured icing went down a treat, so I was keen to test out the coconut-flavoured icing sugar, and use chocolate coconut cocoa powder instead of 'normal' cocoa powder in my usual cupcake recipe﻿. It smelt so good! A real natural aroma. The flavour in the finished cupcakes was, well, coconuty, and really delicious, with just the right hint of coconut texture too. Much more subtle than a Bounty bar! It's such an easy way of adding flavour to your bakes, it's unbelievable that nobody has thought of it before. 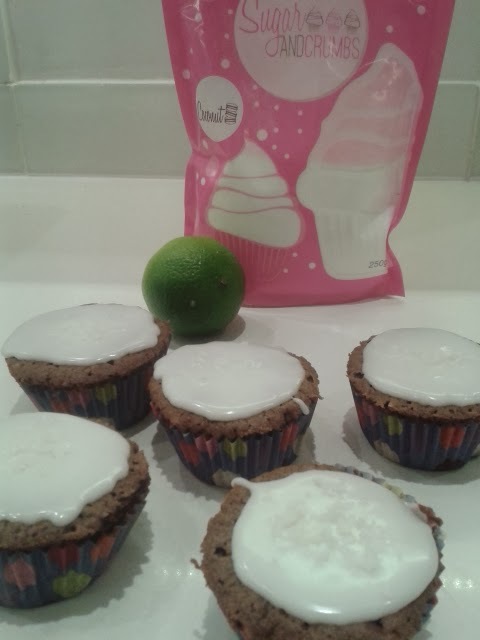 For the icing, I tried both regular (coconut) buttercream,﻿ and also some coconut and lime glacé icing by adding the juice of a lime to the coconut icing sugar which made it zingy and totally more-ish. If you are a fan of Thai flavours, here is a sweet treat for you! The buttercream flavour was just right as well, and I was a little concerned that there would be a coconut overload with both the sponge and the icing flavoured (albeit naturally), and I think I may be right on that one, unless you are real coconut nut.